Free on street parking available all day but there is a private car park at the rear that is free to the public after 6pm Mon-Fri and free all day Sat & Sun. The 16 bus along with the 22 (most frequent bus in Edinburgh) passes right by the restaurant. Cafe Tartine is a rustic French cafe wine bar which is family owned. Serving all the classics you might expect from Croque Monsieur/Madame/florentine to Moules Frites, French onion soup and many more delectable dishes that we have had excellent feedback from since we opened. 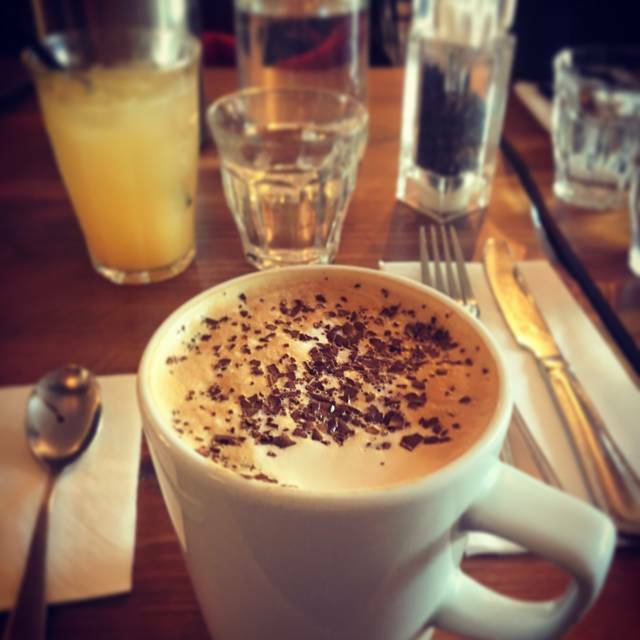 If it's just a coffee you're looking for or a 3 course dinner we're there for you. Oh, did I mention that our conservatory is dog friendly and we are Family friendly up until midnight. Great place for breakfast. Wide range and excellent quality. Attentive and friendly staff. Great food (from the breakfast menu) and fantastic service. Fantastic dinner with lovely staff. Very family & dog friendly. Most certainly recommend it! Lovely brunch with a friend. Delicious eggs benedict - poached eggs were perfect. Very generous filling in bacon roll. Only minor issue was draft coming in from glass door that got stuck slightly open every time someone entered or exited- it was a chilly day! We had a lovely breakfast. The staff were great and made us very welcome. Great but a little pricey but dont let the cost put you off. On a previous trip, I enjoyed the live music also. My steak was not great but my friends was good. Service was quite good but restaurant was quiet. I should have mentioned that my steak had shines through it early enough for them to remedy it. Four of us met to discuss some business over lunch. It all worked fine. Nice place, great food, good service. We were seated in the conservatory, a table at the window. It was very nice to look out on the cobbles, the rill and the wee trees. The waiters were pleasant and friendly, the service efficient. My dish of sea bass was delicious, cooked just right, with broccoli spears the right degree of al dente. I asked the waiter to choose a full bodied red for my glass of wine, and his choice was excellent - a Cotes du Rhone. One friend had the moules frites - she said the mussels were somewhat overcooked, but tasted good - and the other ordered a croque monsieur which she pronounced delicious. It was also huge! We have already decided to meet here for lunch again next month. Leith staple and never disappoints, food and service always great. Wonderful experience! The service was the best we've had in a long time and the food was lovely. Will be back! Great to be able to take the dog for Sunday dinner. The food was great. Wine was lovely. Didn't feel under any time pressure. All in all a lovely time. Relaxing atmosphere, ambient decor and excellent food. Servers are polite and knowledgeable. Would definitely recommend and will definitely be back for more. My wife and I are regular visitors, along with our dog. This is a very dog friendly venue, with dogs welcome in the conservatory area at the back of the cafe. The staff are always very welcoming and the food is first class. If you live in Edinburgh, or your are a visitor give Cafe Tartine a try - I don't think you will be disappointed. The restaurant was surprisingly quiet so soon after New Year, but we received a warm welcome from the staff and enjoyed good food & nice wine at a reasonable price. Lovely family brunch. Very friendly and helpful staff. Crepes are amazing. Also very dog friendly but in the conservatory area only. Good value restaurant. Service was excellent. Food was nice but have had better. I would however recommend a visit. Menu not extensive but focussed on what they do extremely well. Wine list not extensive either but a good selection at reasonable restaurant prices. Breakfast massive and very tasty. Staff fantastic. We love tartine - it’s a regular place for our family . Really great for kids but not too over-run by them ! A mixed service. Confusion with order - ours being sent to another table, only for the other table to realise after starting to eat our order. Our order was pushed back, and the other table got their meal first. No explanation was offered until some 20 minutes after the mix up. Obviously we had gathered what had happened before anything was said to us in the form of an apology. It was a slow Monday lunchtime we were told as we were greeted. An off day for service, but the food was great as usual. Worth the wait. These things happen, but a quick explanation would have been appreciated. I will still return in hope of better service. Visited for dinner, it was a Monday evening so fairly quiet. Menu was fairly good, a pretty good selection that my wife and I had no trouble finding dishes that we liked the look of. My main was a little disappointing, it was sausage with herby mash and veg, only one sausage for £14 was a bit steep, however it was tasty and well cooked! Service was good and drink selection was excellent. I booked an 8:45 pm reservation for four people. We arrived at 8:50 pm. The restaurant informed us that the kitchen was closed, and we could not eat. I told them we had reservations through open table, but it did not help. They refused to serve us. I have been to Cafe Tartine several times and enjoyed every visit. One star was lost this time as they had run out of gluten free bread, which hampered my wife’s choices. Staff as always were excellent. We enjoyed a lazy Sunday lunch with several traditional French dishes shared and all were excellent. Service a bit slow but we had time and it was not a big issue for us. My guests enjoyed the battered fish and mashed tattie but how difficult is it to get that wrong. My steak was tough and cold and served on a chipped plate. The French fries were nice. And they still don't know how to do crepes. On this occasion one was edible but the other had green tinges and was chewy. And smothered in a gooey chocolate sauce. As on a previous visit. We will not be revisiting. Nice meal, tables a little too close together but overall very nice. We like Cafe Tartine - Lovely staff - friendly and helpful. But on this occasion the menu was very limited and because they had run out of goat's cheese they couldn't make the veggie dish my daughter wanted. The food was nice but not great. Pleasant venue for meeting with friends offering very good food and very good service. Superb food with excellent and friendly service. The only downside for me was that the conservatory, where we were dining, was a little too hot. The artichoke salad was perfect and my guests liked their pork comfit. The meal was delicious without being complicated or over the top. Good, tasty well presented food. What more could we ask. One guest is very fond of cocktails and appreciated the quality and presentation. I thought the staff were very pleasant and not too fussy. As it is a local venue for us we will visit again. Avoid the “Surf and Turf” the filet mignon is shockingly poor. 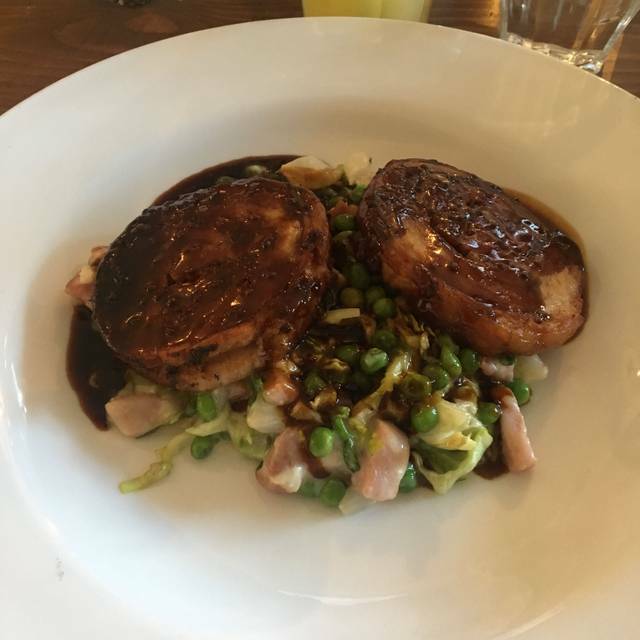 We often eat at Café Tartine as the food is excellent, and competitively priced, the staff are friendly and the service is good. Their fish stew, when on the menu, we think is the best outside Marseille whilst their crepes remind us of many holidays in Brittany. We ate there on Friday because they had a fabulous trio playing in the Leith Jazz Festival. Although we live the other side of Town, we think it is well worth the drive to eat good food. Not having been to Café Tartine before we opted to go as we purchased an Itison voucher for four people so went as a family Sunday lunch. Food was really lovely (particularly the French onion soup which was simply AWESOME). We went later on in the afternoon, about 3.30pm and it was quite quiet which suited us perfectly. Would definitely go again without any voucher and recommend it to friends also. I imagine its a great spot at night as the location is good. It was a lovely sunny day when we went and there were some diners in the conservatory bit at the back which looked nice.